Hiya Readers! As some of you know, I like to support werewolf-y Kickstarter projects every now and then. Today I bring you a new one! The Scarlet Huntress Anthology by Sean Forney. It’s a comic series about a badass woman who hunts werewolves. Check out the details below. 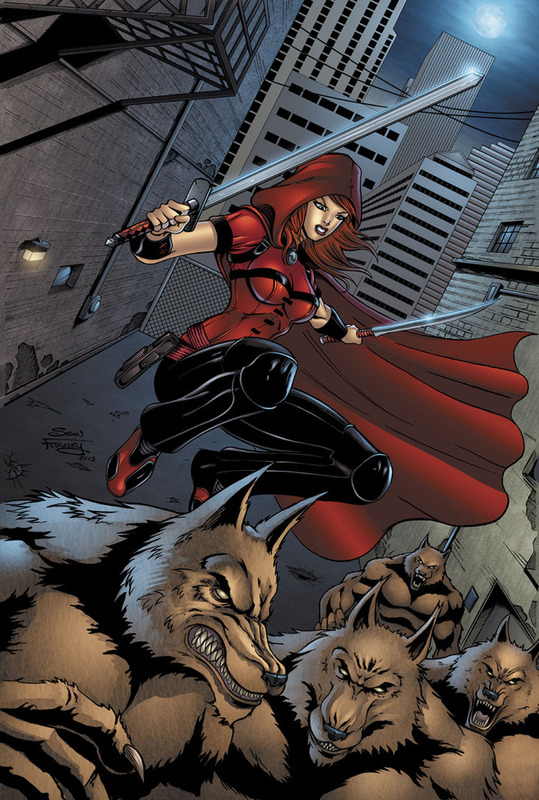 “Scarlet Huntress battles werewolves and fights for revenge in a new exciting comic with 3 stories and tons of new art by Sean Forney! Here we are! It’s taken a long time to get here but we hope you enjoy the new Scarlet Huntress material we’ve got coming!!! So, what are your thoughts? Does this look like a series you would be interested in? Or does the fact that she kills werewolves bother you too much to give it a shot? Let us know in a comment below! Teen Wolf Season 3 Trailer and Photos!